Zeera- the Indian specialty restaurant at Conrad Pune is all set to host the Maharashtrian Food pop-up at the hotel only on 9th ,10th and 11th February 2018. Executive Chef-Mandar Madav and his team of culinary experts will be hosting this pop-up exclusively for guests who enjoy regional delicacies from Maharashtra. 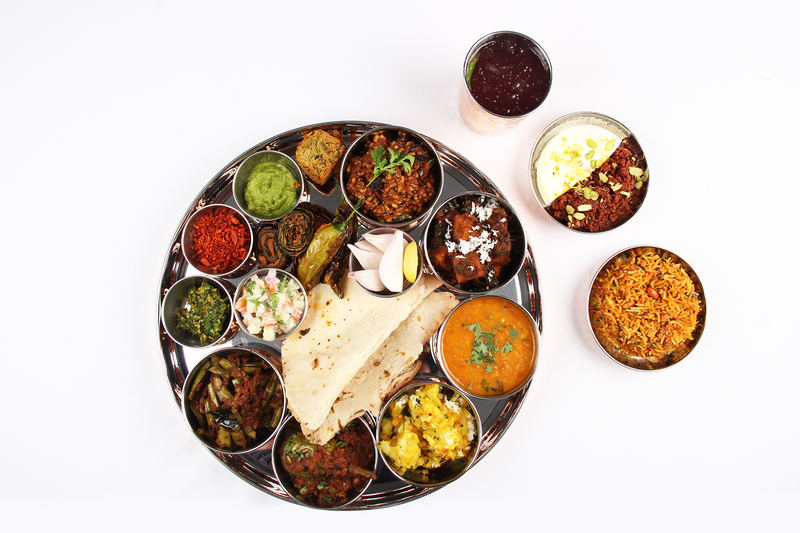 During this exclusive pop-up, Chef Mandar Madav will be offering a special thali of the most popular vegetarian and non-vegetarian dishes in Maharashtra with the help of special home-made and hidden recipes from his hometown and travels across the state. The pop-up will offer a wide variety of appetizers, main course and desserts for vegetarians and non-vegetarians alike. Start your meal with a refreshing glass of Tival and kick start your meal with spicy alu wadi, bombil fry, javla chutney or Kothimbirwadi. For your mains, Choose between spicy Matkichi Usal, Surnachi Bhaji, kolambi Shenga batata, Machicha Saar along with Bhakri/Chapati or Phodnicha Bhaat. End your meal on a sweet note with traditional Belgavi Kunda and Milky Kharvas. Head to Zeera and experience the best of Maharashtra only at Conrad Pune.